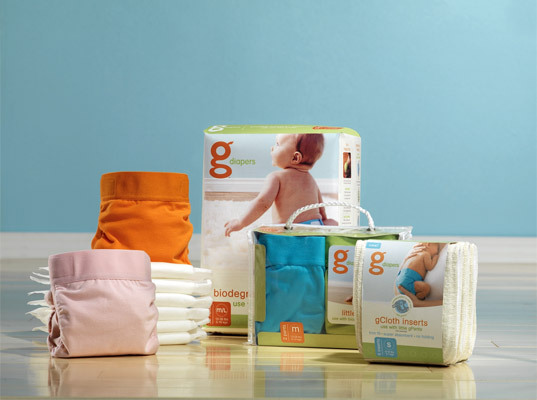 We’ve long lauded gDiapers for being the perfect compromise between the convenience of disposables and the reusability of cloth. (Both Jill’s son and my daughter are gBabies.) If you’re looking to make the leap to cloth diapers, the company’s new gCloth inserts have you—and your kidlet’s bum—covered. Made from four layers of polyester microfleece and hemp/cotton, the cloth pads slip inside the gPants’ snap-on nylon liner just like the regular flushable inserts would, requiring zero folding. 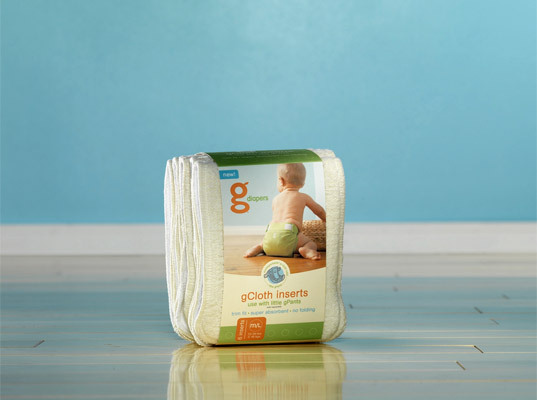 The material becomes softer and more absorbent with each wash, according to gDiapers, so you can look forward to the fabric becoming as smooth as, well, your baby’s bottom. We've long lauded gDiapers for being the perfect compromise between the convenience of disposables and the reusability of cloth. (Both Jill's son and my daughter are gBabies.) If you're looking to make the leap to cloth diapers, the company's new gCloth inserts have you�and your kidlet's bum�covered.